On Monday I wrote a joke on my Facebook wall about “Gene Parmesan”, on Wednesday I made frozen chocolate bananas, and by Thursday I fell out of my desk chair upon learning the news that Gallery 1988 was about to open a show dedicated to one of the most brilliantly written comedies, Arrested Development. 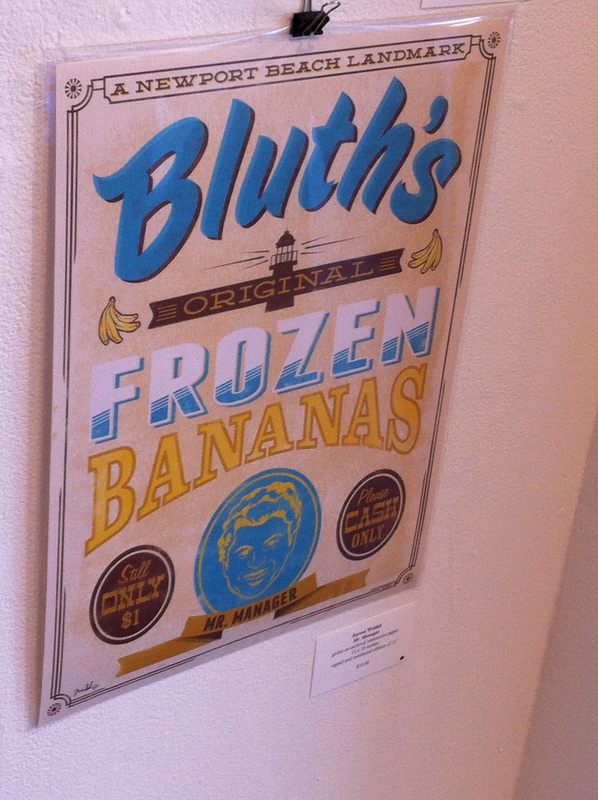 “There’s Always Money in the Banana Stand” opened to eager A.D. fans lining the block in front of the gallery on Friday. 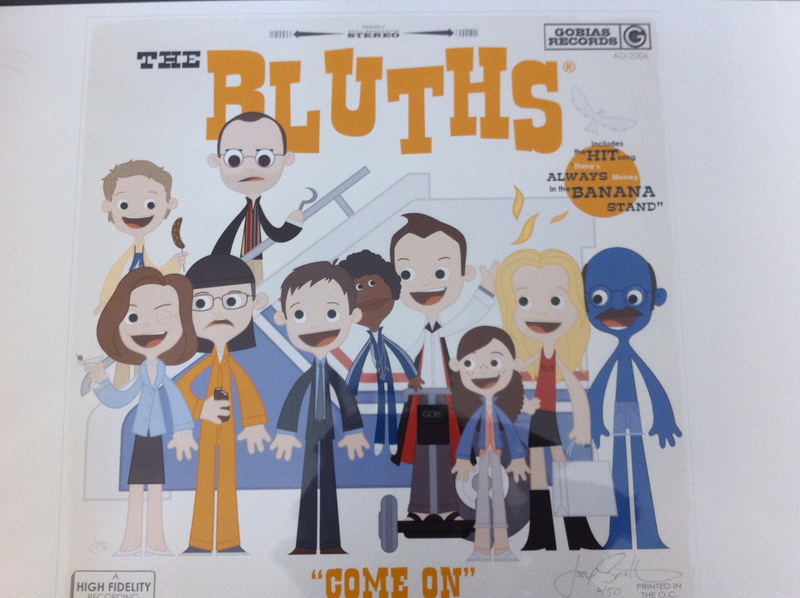 The exhibit features works created by over 70 artists, illustrators and graphic designers paying an homage to the Bluths-the family that put the “FUN” in “dysfunctional” (ok, I’ll leave the jokes to Mitch Hurwitz). The best part of the show was that the majority of the collection was extremely affordable. I say “was” because many of the original works were sold by Saturday morning. 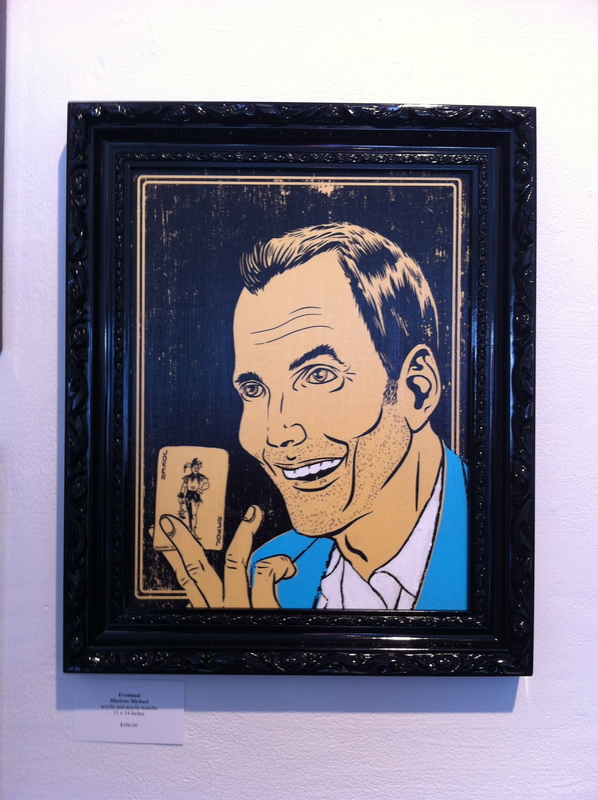 For devotees of the TV show (which was unceremoniously cancelled in 2006 and quickly developed a cult following in subsequent years), the Gallery clearly tapped into void in an eager and loyal fan base who are anxiously awaiting the film adaptation of the show and a 4th season which will be available on Netflix in 2013. 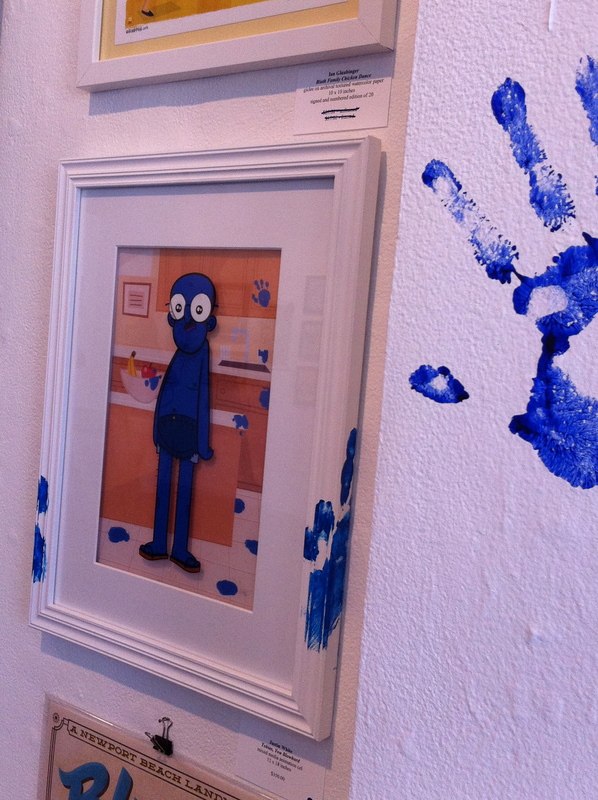 I visited the gallery today and have never laughed so hard at works of art (on purpose, that is). I even nabbed a couple of pieces I’m happy to add to my growing collection. They’ll make me laugh a little bit every time I see them. 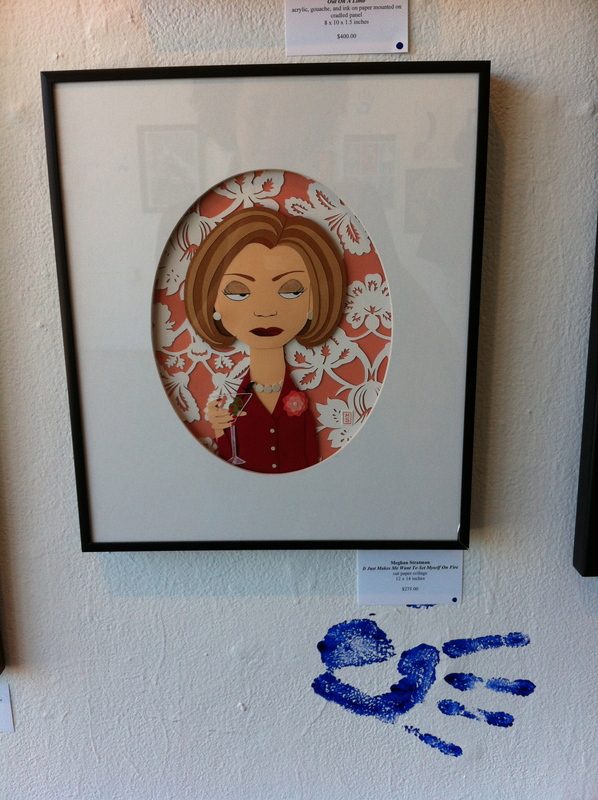 The show runs at the gallery’s Melrose location thru July 21st. “Let the great experiment begin!”. Next Next post: Bourdain Cooks Up… A Comic Book?